The book set in 14 chapters has been written by members of the Department of Social Work at the University of Botswana. 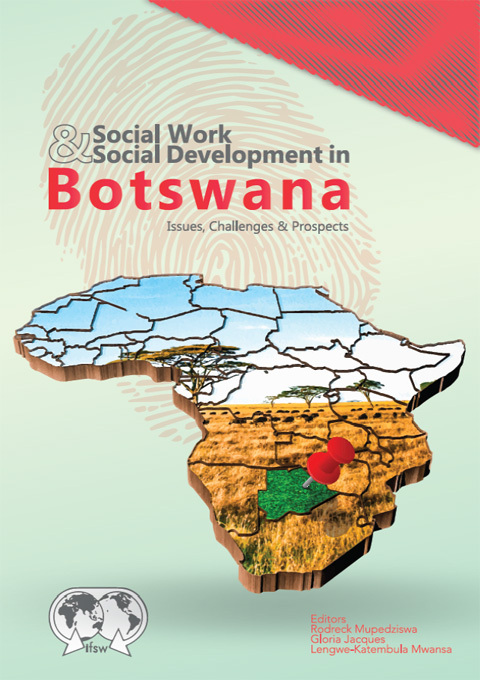 It covers an array of issues pertaining to social welfare and social development in Botswana. Topics covered include struggles for recognition of the social work profession in Botswana as well as the growth of general social work, welfare, services for children, community development; health services provision; gender and development; sexuality and HIV and AIDS; disaster management; and poverty. IFSW President Ruth Stark said, “This reflection from Africa on the development of social work provokes replication in all members of IFSW. It raises questions we all need to address about where we are now and what we should be doing in the future. Thank you, Botswana, for your leadership in bringing us this timely publication”. Professor Kwaku Osei-Hwedie, Dean of the Faculty of Academic Affairs and Research Kofi Annan International Peacekeeping Training Centre in Ghana said, “The book is a positive testimony to the efforts dedicated towards improving social work education and practice; and social welfare provision in Botswana and Africa. The volume is a must read for practitioners, academics, students and stakeholders in the social work and social development arena in Botswana in particular and Africa in general”. Professor Rodreck Mupedziswa, Principal Editor of the book said, “The quest for relevance and appropriateness of social work education in developing countries will remain a pipe dream until and unless institutions can begin to generate indigenously produced local teaching materials. This comprehensive, cutting edge and innovative volume with its insightful chapters constitutes a modest attempt towards realisation of this goal. This is an initiative that other institutions are urged to emulate. To order a printed copy or download a PDF version, click here.